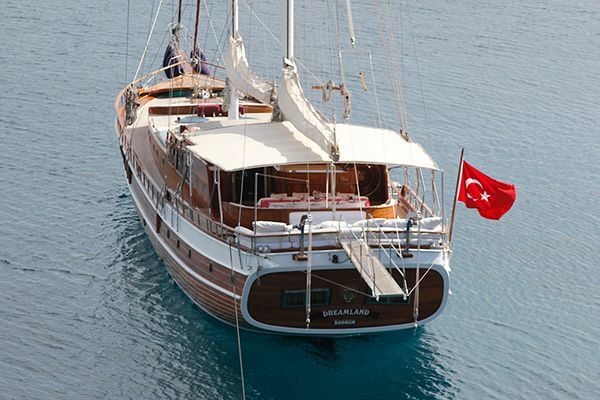 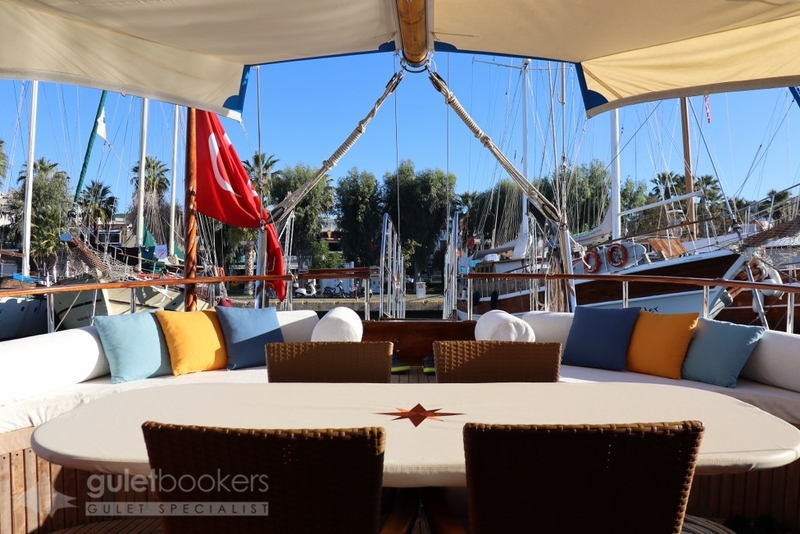 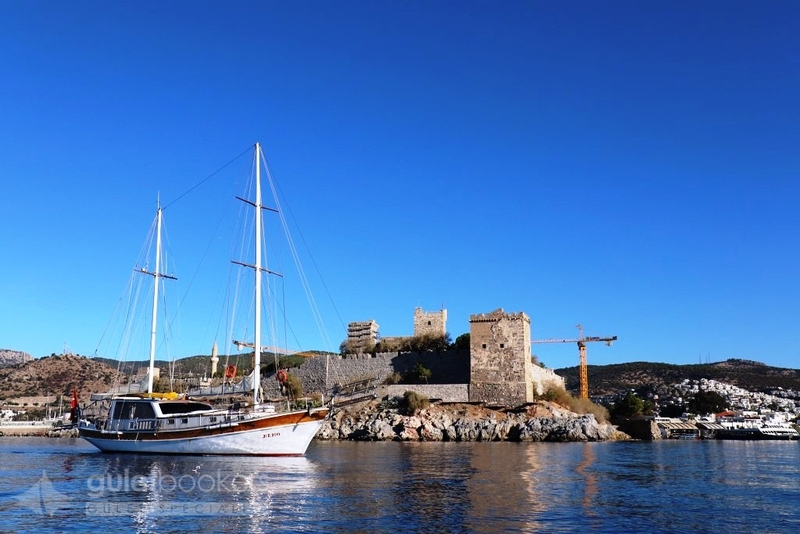 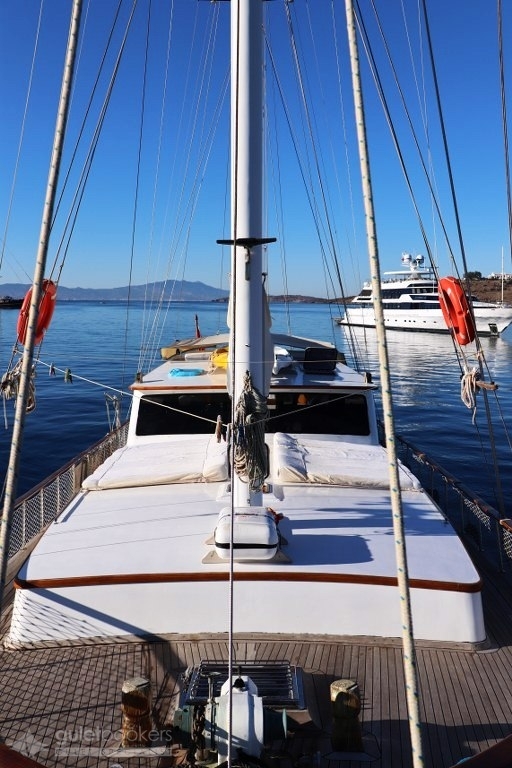 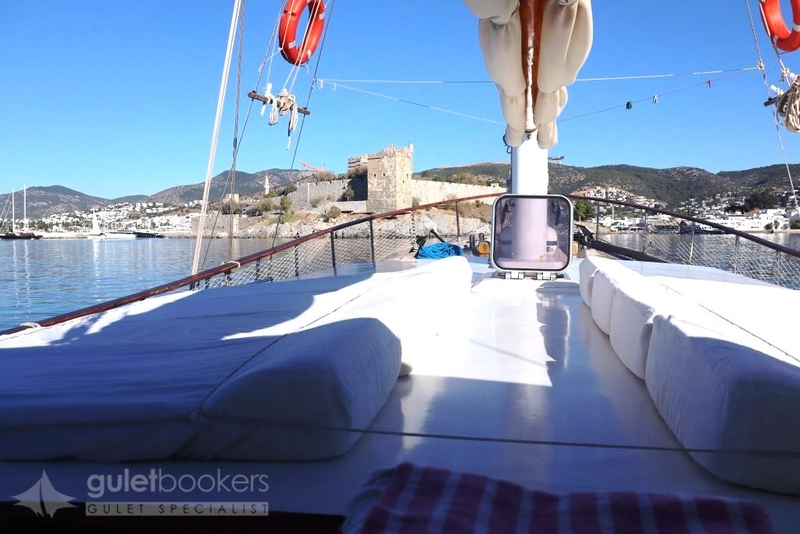 The luxury gulet Remo is a beautiful, small, vintage Bodrum gulet ideal for couple or a small family or close group of friends, sailed and maintained with loving care by the owner- captain Celal. 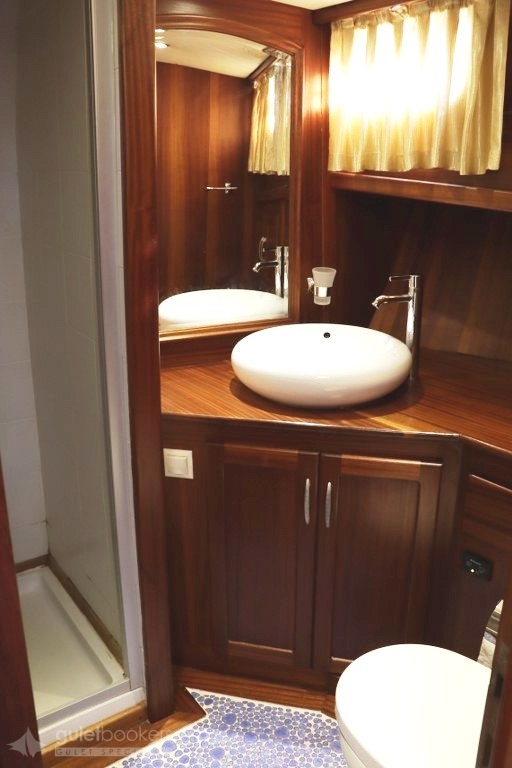 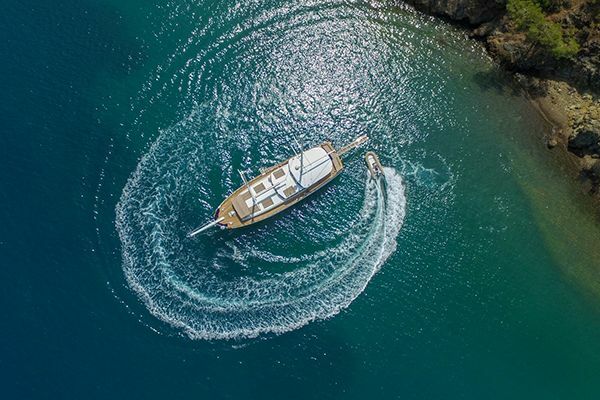 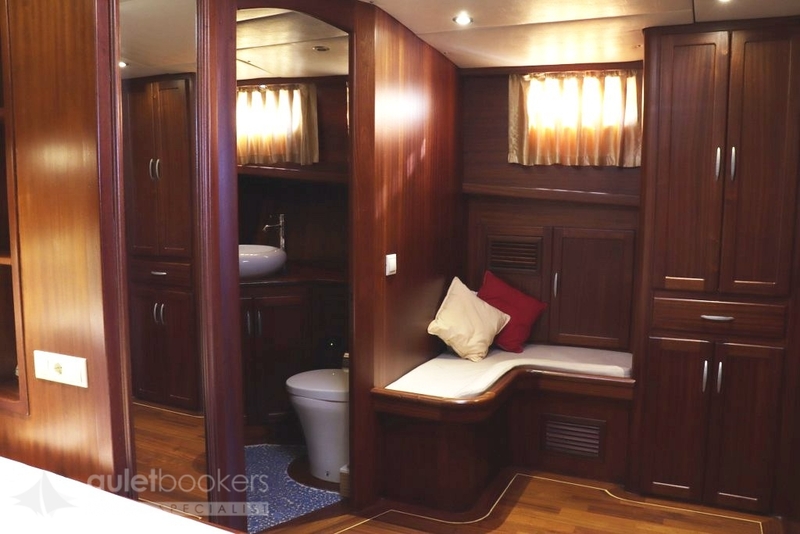 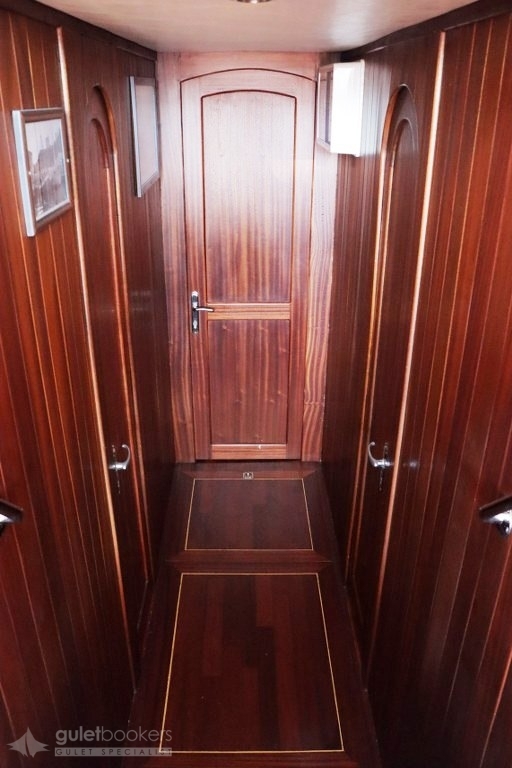 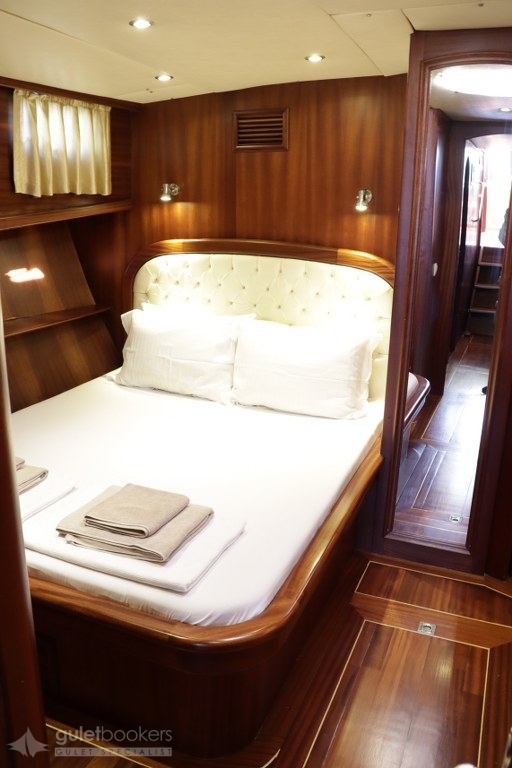 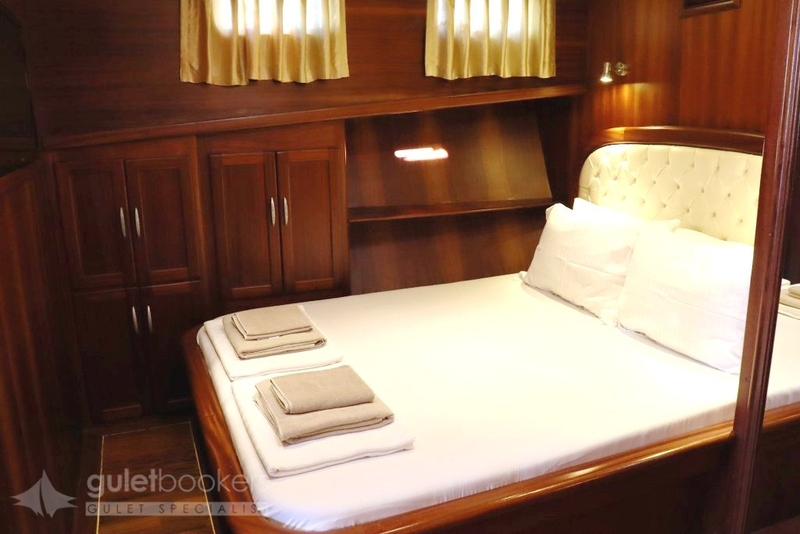 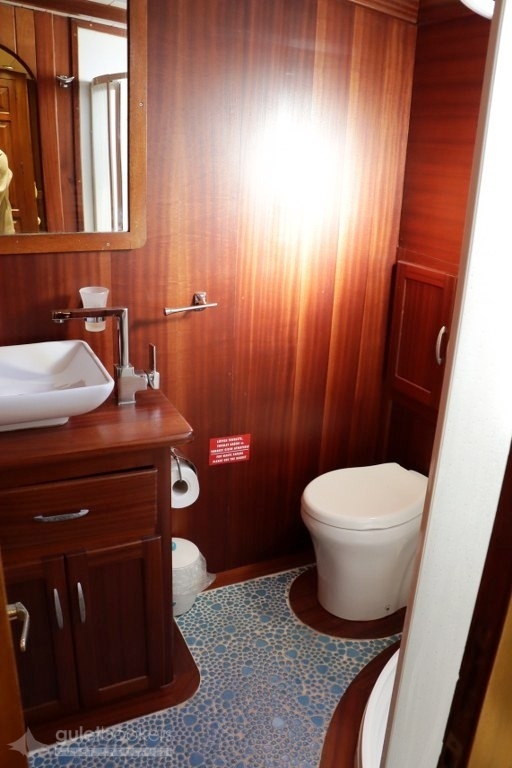 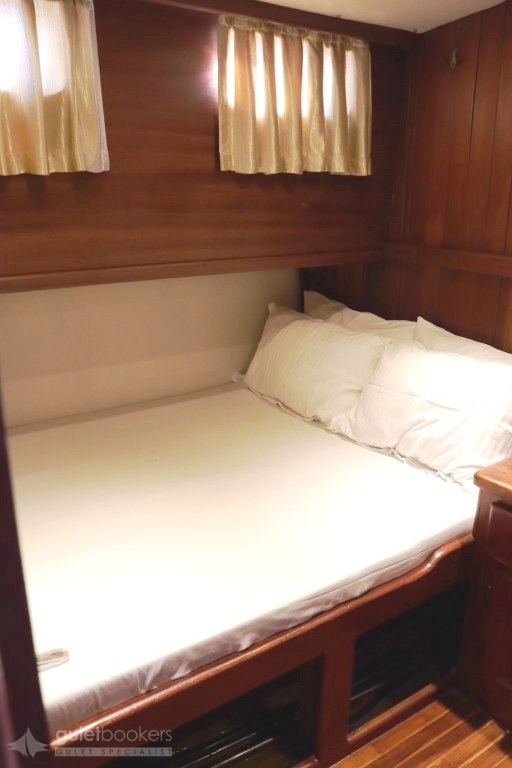 Renovated entirely in 2012, the Remo has a luxuriously comfortable air-conditioned master cabin with a queen-size bed, flat-screen television and own private bathroom. 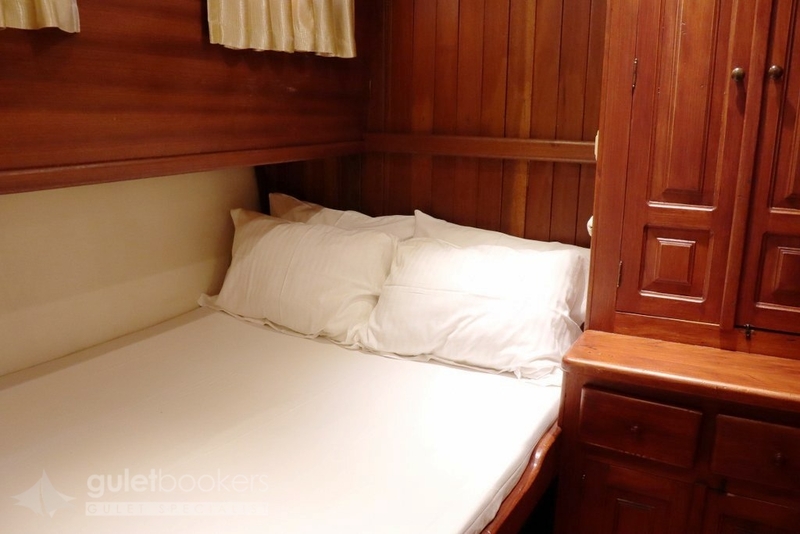 The other two double bed cabins are also very comfortable with their own bathrooms and air-conditioning. 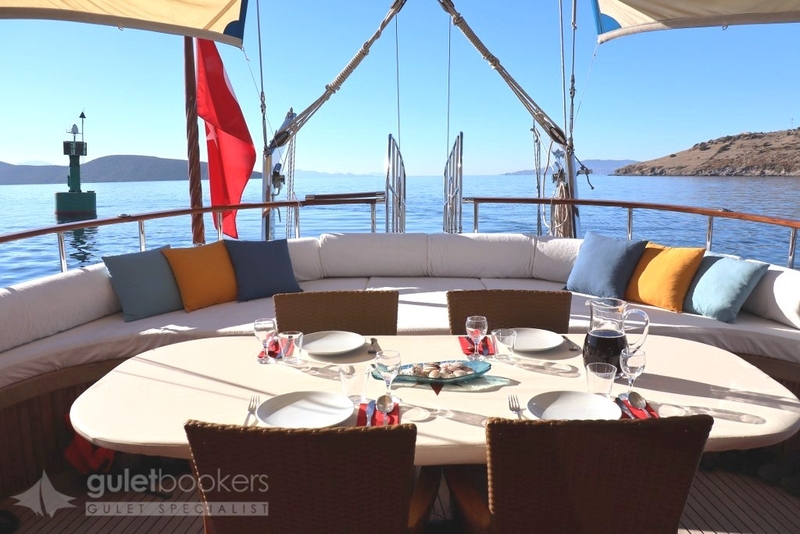 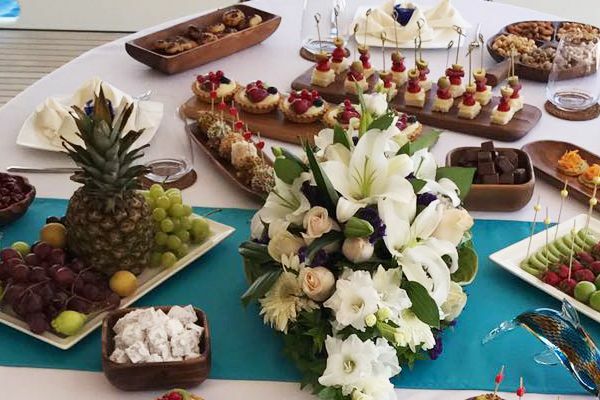 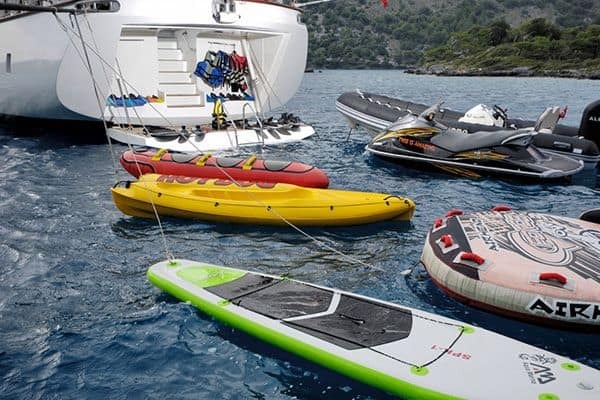 Guests might feel they are enjoying almost the service of larger luxury gulet charters, with the attention of the cook, crewman and captain seeing to every detail. 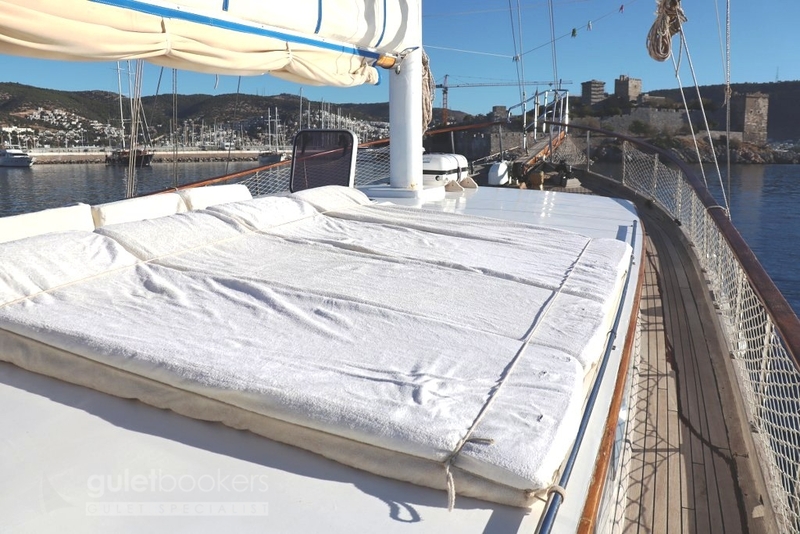 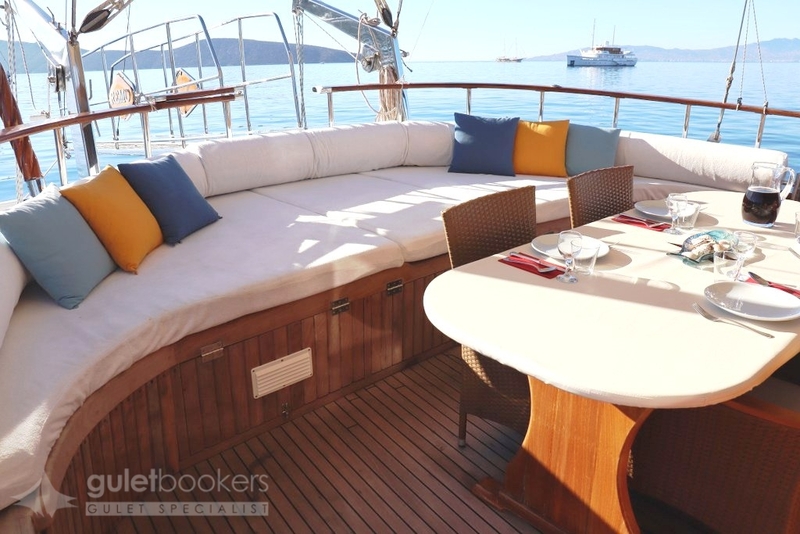 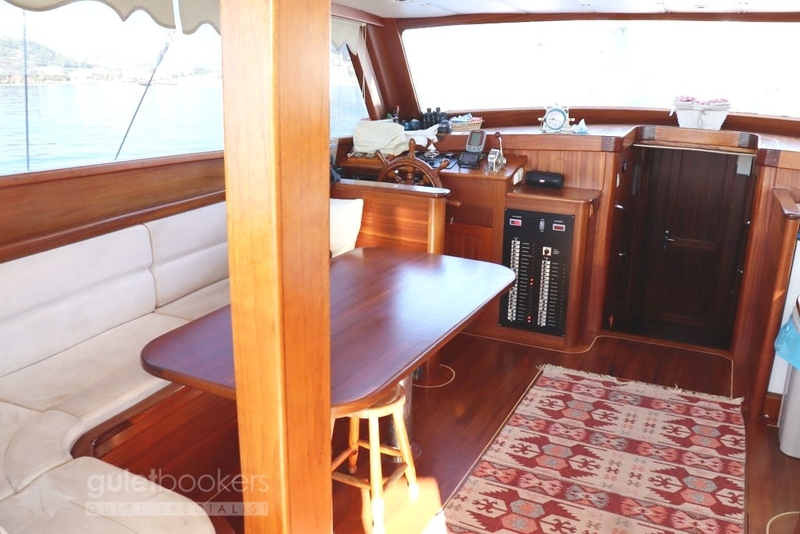 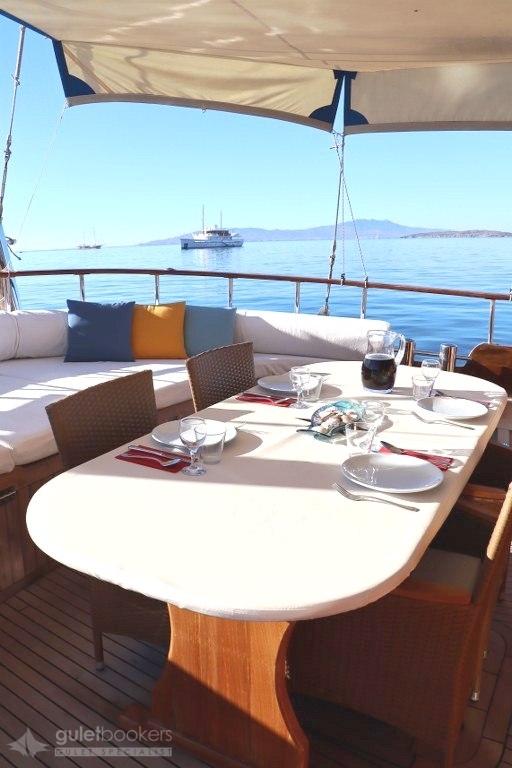 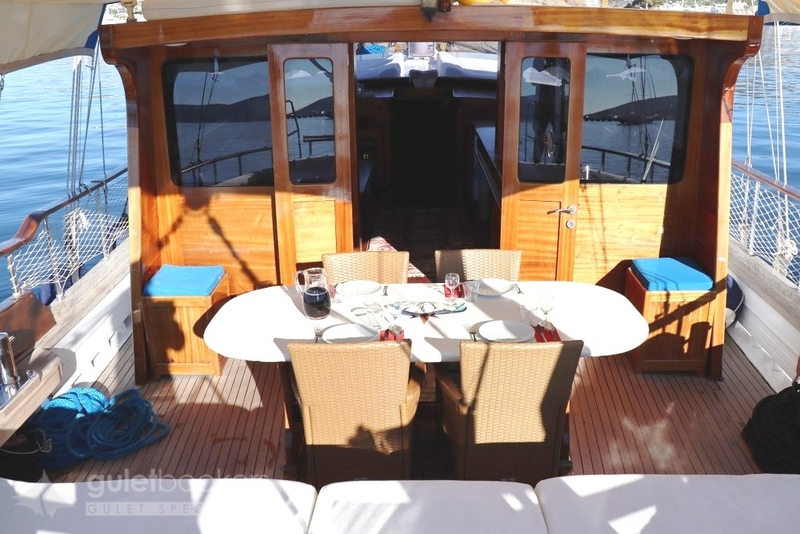 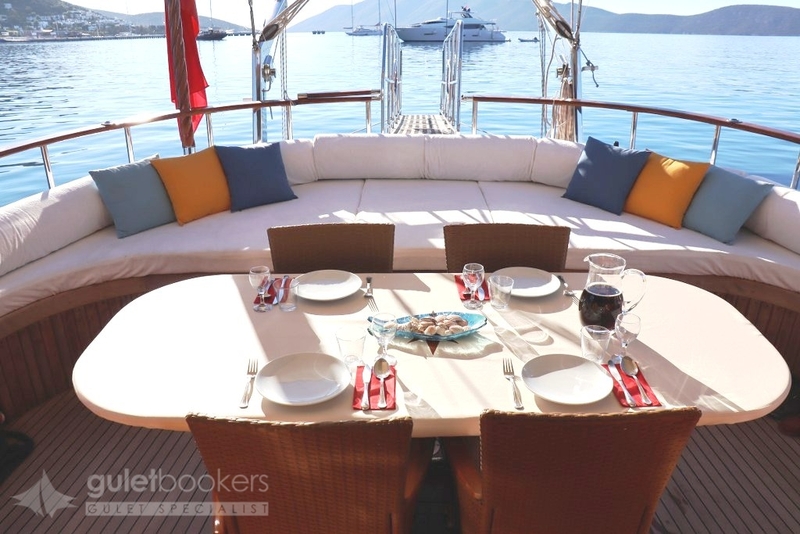 The outdoor deck areas fore and aft offer space for relaxing on the cushions and an outdoor dining table in the shade aft is a great spot for long leisurely meals, while sunbeds on the foredeck please the sunbathers. 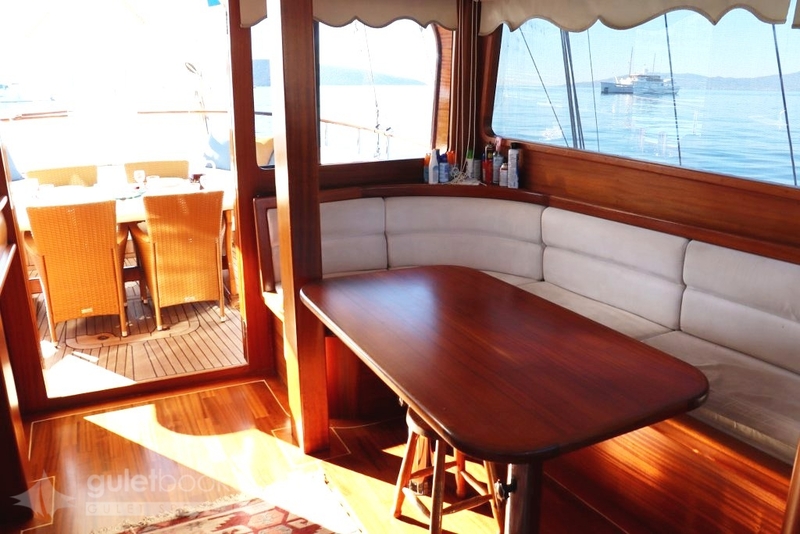 The inviting curved bench seat forward in the bow is just the spot for sunset drinks, watching the passing coastline, sunbathing or a quiet read. 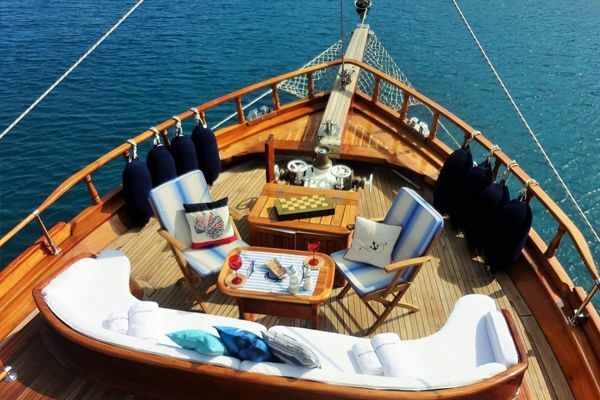 A canoe is kept on board for enjoying a paddle in quiet anchorages along the coasts which the captain knows so well. 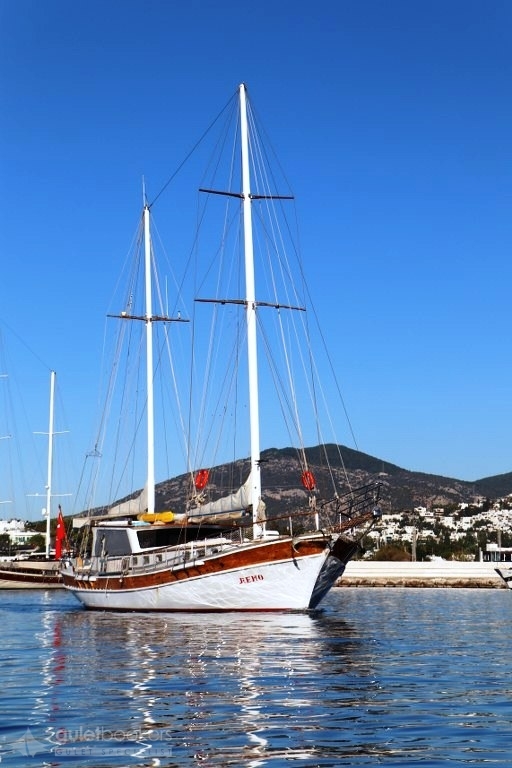 For a friendly, hospitable gulet cruise with one of the original sailors of Bodrum, Remo must be the first choice.